At the beginning of June I was visiting my friends Kathleen O'Neil and Peter Tilman in Montezuma Wells. 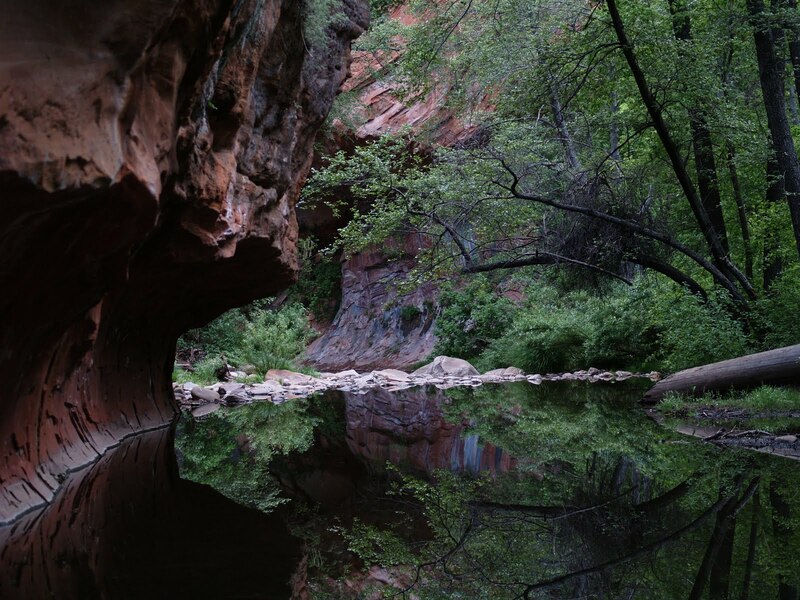 They took me to get reacquainted with the breathtaking beauty of the Red Rocks of Sedona and of the West Fork of Oak Creek Canyon in particular. We arrived just before sunset and the canyon lay already in deep shadow. No better light to best appreciate the deep colors of the landscape. The trail first crosses the orchards and gardens an old hotel or lodge that burned down long ago. Some walls and chimneys are still standing. An lone fireplace exhibits the great skill of stone masons who used the natural local stone. 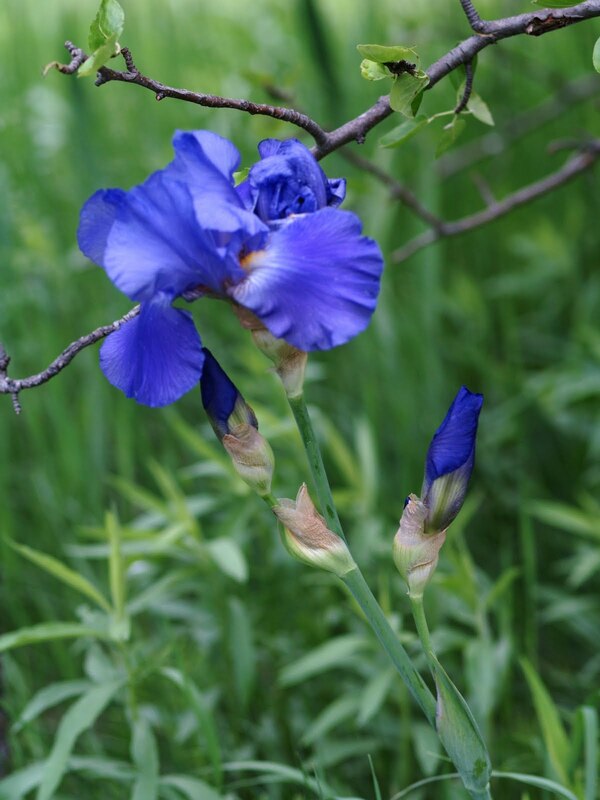 Left behind ornamental plants make botanists wonder. We found thriving Vinca major, Spirea, Apple and Plum Trees and gorgeous but out of place Blue Iris. 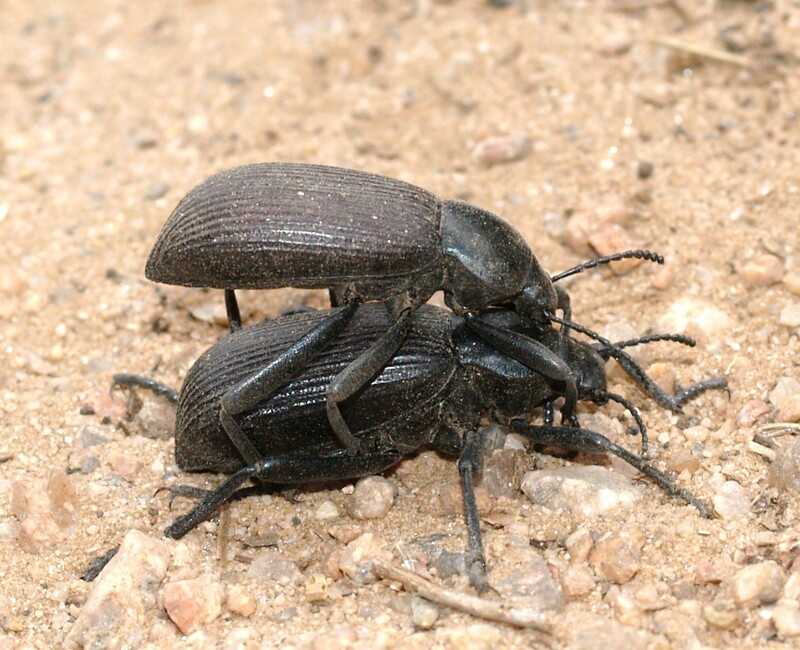 Typical western Pinacate Beetles Eleodes obscurus were doing their head-down acrobatics or were mating everywhere on the sandy path. They looked nearly out of place in these genteel surroundings. 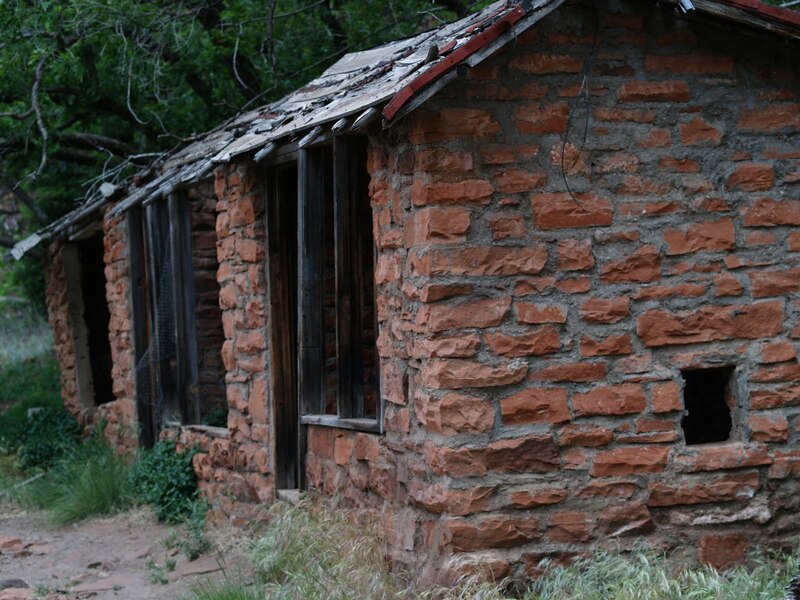 An old cave or mine shaft in the vertical red rock cliff must have served as a root cellar for the lodge. Peter, a geologist and prospector, was taking a closer look when the first beetle landed on his sleeve. Green, small, flighty, it looked at first like a Chrysomelidae. 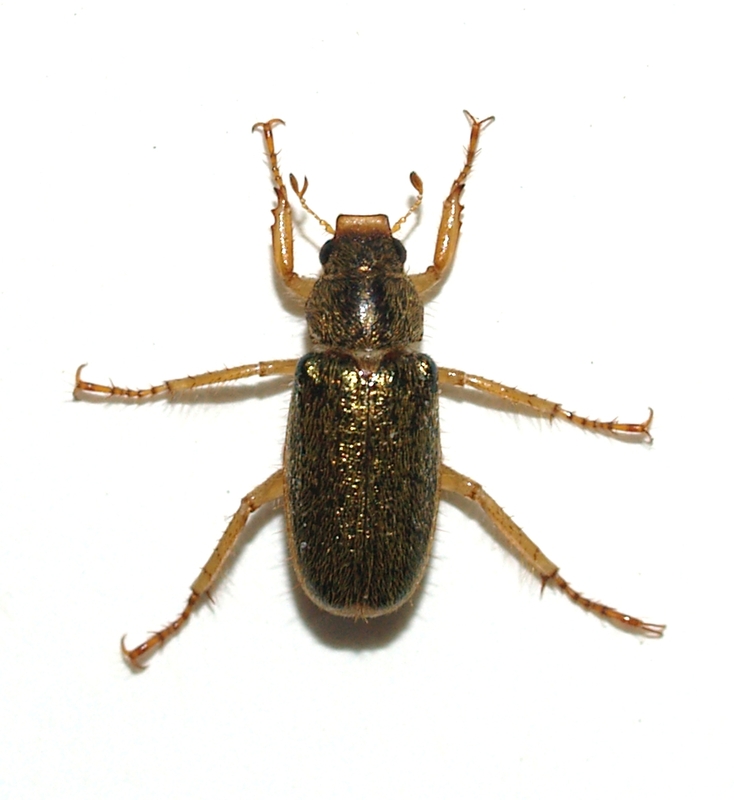 On closer inspection its antennae characterized it as a Scarab. Soon there were more - on my shirt and hat. In fact, I didn't find them on anything else at first. It was Dichelonyx truncata. Two species of the genus occur in Arizona. Their distribution is very local. 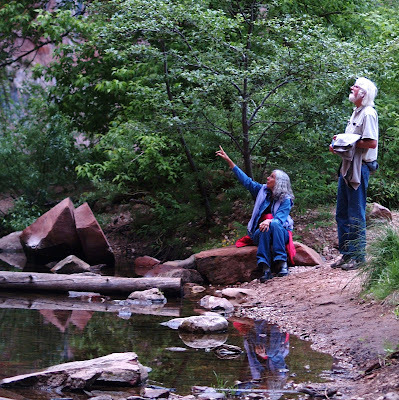 In fact, Pat Sullivan's field notes indicated that he found his only specimens also on the West-Fork Trail in Sedona in the seventies. For any proper bug person everything after this discovery should have been anticlimactic. But I'm also an artist at heart. With two nice beetles in my pocket I could really enjoy the drama of the narrowing sandstone gorge and the great company of my friends. 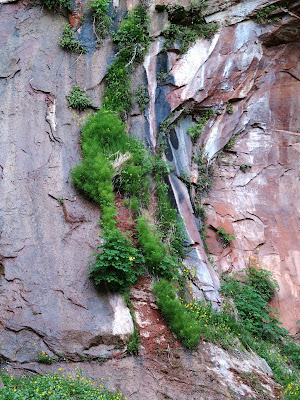 I loved the contrast of complimentary reds and greens, the deep shadows and the last filtered light, and the delicate columbines, monkey flowers and ferns against the sheer cliffs. This late in the day, we had the sandy beaches and completely quiet, mirror-still water all to our selves until a bouncy, exuberant Pitbull set another interesting counterpoint. Hello Margarethe. What a positively delightful vignette! I recall so many walks with my birder husband, John, in the unforgettable canyons of Arizona - Sedona, with its beautiful red rock is indeed a stand out. 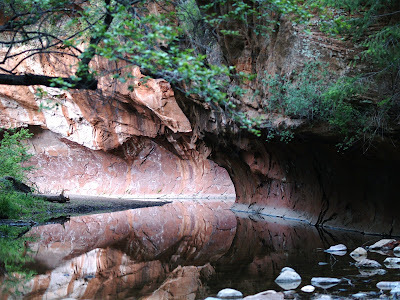 Perhaps because of the suspense surrounding the search for its famous Spotted Owl, I especially treasure memories of hikes in Sheelite Canyon on Fort Huachuca. Have you been able to explore that interesting area? I read that it is a little harder to access these days for security reasons - sad. Greetings from Danville, California! Yes, it has become nearly impossible for me, as a German, to enter the Fort. But I remember great trips into Garden Canyon years ago. Luckily some naturalist friends who are military card holders have offered to take me. The reds and greens intertwine spectacularly. Arizona is a marvelous land. It is. I feel lucky and very hot right now. We think the monsoon may start next weekend, at least in Cochise Co. That would be so great! Does anyone know the name of the black beetle or black bug that injects eggs into a host? They feed off the host, eventually killing the host? I saw a sign with that bug on it at Montezuma's Well when I first moved here but they have since taken it down. This is very important to me and I haven't found anything on the net. 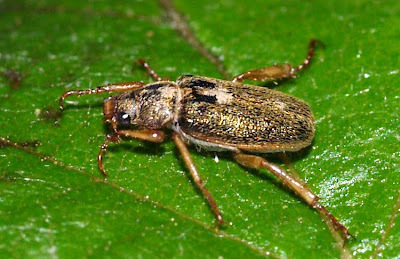 Beetles or true bugs (Hemiptera) don't propagate that way. They may be brood parasites in bee nests and hitch a ride to get there, but they do not live inside the living host. However, Sphecid wasps, some of them black, are catching prey, paralyze it, carry it into a burrow, lay an egg on it, and the larva lives in the living host. Other wasps lay eggs into caterpillars, beetles, other larvae(without capturing them)and again, the host only dies when the 'guest' emerges to pupate. Several species of flies do the same, some using vertebrate hosts (botflies in rabbits) that they do not kill. So do you remember whether the host was an insect or a mammal? I saw a sign at the Montezuma well upon arriving in Az. 8 yrs. ago that talked about this black beetle. 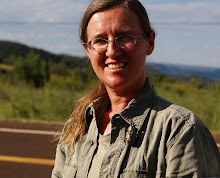 Then when I lived in Sedona last year I woke up with 1/2 size golf ball on one ankle and a sore spot (bite) on the other, not swollen. I remembered the sign. It did not look like the necronizing (sorry spelling) bite from some spiders but rather, it did leave a bruise that eventually turned yellow on both ankles. I have had pain since the bites Oct. 2010. 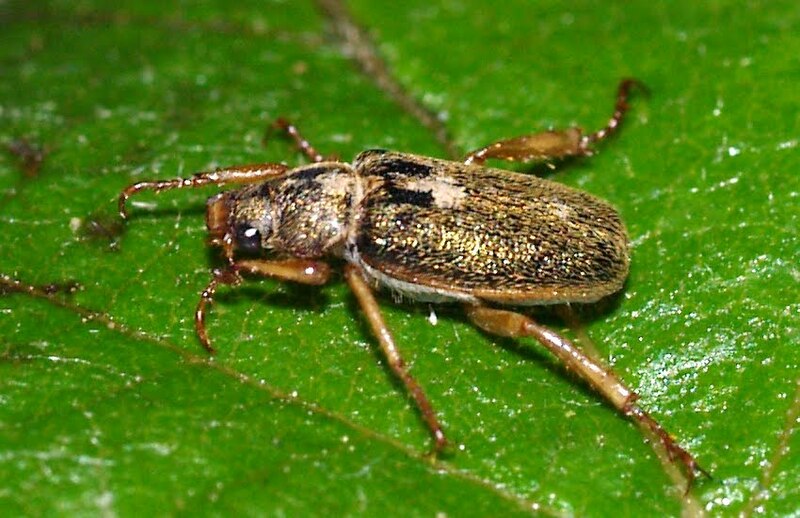 I am glad to hear you know of no such propagation of the beetles. Thank you. I did go back to see the sign but they have long been replaced and that one was not.